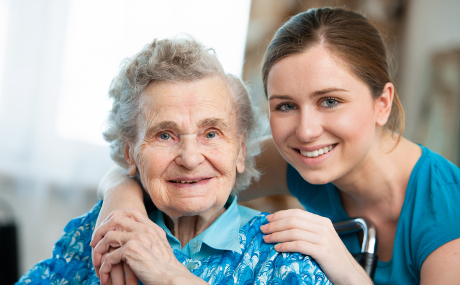 Select Medical provide products and services across various care settings including care homes and the NHS. We’re always happy to hear back from our customers – your feedback is really important to us as it helps us improve the service we offer you. If you’d like to get in touch, please use the feedback form below. I would like to thank you all for all your help and kindness when looking for a pressure cushion for my husband. I received such wonderful attention and help that it has restored my faith in humanity. My husband who suffers from pressure sores has been waiting for an air flow cushion on the NHS for 10 weeks and still no news so I visited your premises and came home with a cushion to try and it has made his quality of life so much better. I am pleased to report that the sores are on the mend at last. Thank you all. PS I have kept the cushion! I was looking for a cost effective and reliable pressure relief system and was introduced to Simpulse 8. As always the ‘write up’ promised the earth – 18 months on I would not consider purchasing any other make of pressure relieving mattress – this product delivers what it promises. 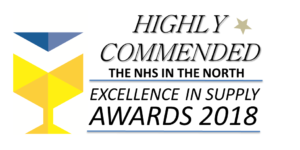 The cost is favourably comparable, the reliability is excellent and our ‘React to Red’ and Pressure Care Audits have returned only positive feedback. It was a real pleasure talking to you this morning. We are very impressed with your efficient service and arranging relocation of this bed. We are happy with the bed and your help finding just the right one for our son. Delivery of bed was on time and your engineers assembled it and explained how it works. Once again, thank you for all your help. Having worked closely with the team at Select Medical for over 10 years I am very happy with the excellent service they have provided, nothing is ever too much trouble. The Pure Air 7 & 8 airflow mattresses have proven clinically effective, allowing a great level of comfort without excessive noise levels. Wigan Community Loan Store delivers a wide range of equipment and support to people cared for in their own homes. Select Medical have provided equipment to Wigan for over 15 years supplying quality pressure care products. The pressure care products they provide are not just reliable, they are incredibly hard wearing providing long-term cost efficiencies. They deliver high quality products and services helping us support people across the Wigan Borough. Just a thank you to all of your staff that helped me to receive the Pure Air cushion the following day after ordering.The staff were professional, caring and polite. I just wanted to say a big thank you for your kindness recently first of all in trying to repair the profiling bed and secondly, when repair wasn’t possible, the speed in which you helped us get a new bed in place for our Dad to minimise any stress to him. Dad had been bedridden for 3 years so we were concerned that the transfer would not cause him any undue stress, but thanks to Eddie who assembled the bed speedily and more importantly safely in the confined space of Dad’s bedroom, we were able to transfer him whilst he was still asleep! All in all a good job by everyone. Thank you again. We would just like to say the help you gave us was exceptional and through this we felt that we should give your number to Wigan Council and friends for anyone who needs a bed in the future.